In this segment, Dr Oz brought up 2 audience members, Violet and Elizabeth, to choose which foods they thought was the best answer. See if you can guess the correct answer. 1. To prevent a heart attack, which food helps you lower blood pressure? Answer: Doctor Oz said the answer is Spinach. It contains magnesium and takes pressure off the heart. These kinds of pair-wise comparisons are senseless if not misleading. 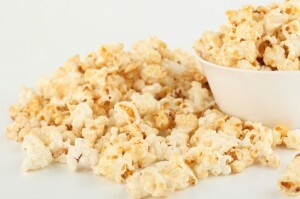 One would conclude from the comparisons that one should take popcorns to control blood sugar, which one should never do. The only situation this comparison may help would be when you only have pumpkin seeds and popcorn to choose from, and even then I would choose pumpkin seeks for its whole health benefit. Also, if it is fiber that works there, one could take a lot of other things betther for health than popcorn that have more and better fibers.